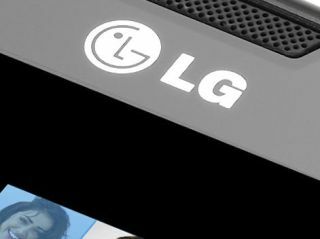 LG has confirmed it is working on a quad-core LTE device which will deliver fantastic speeds without draining battery life. The LG Optimus 4X HD and LG Optimus 3D Max are two of LG's flagship handsets unveiled at MWC 2012, but neither support the super fast LTE network even though LG has made it one of its key focuses in 2012. Speaking to TechRadar Lee Seob Keun, part of LG's Product Planning Team, explained that the reason for the LTE omission is down to battery life. The quad-core processor in the Optimus 4X HD and 3D technology in the Optimus 3D Max are both power hungry and adding LTE into the mix would see battery life critically compromised. Keun confirmed that LG is working on a quad-core LTE device, but its boffins in the labs are still working on making the technology more efficiently to allow the battery to last longer. It's not clear when the device will be launched as Keun was unable to provide us with a definite timeline, but it looks set to reveal itself next year. LG did unveil the Optimus LTE Tag which will hit shelves in the US in May and also roll out to Canada, Japan and Korea. It boasts a 1.2 GHz dual-core processor, 4.3-inch IPS display, 5MP camera and Android 2.3 Gingerbread.